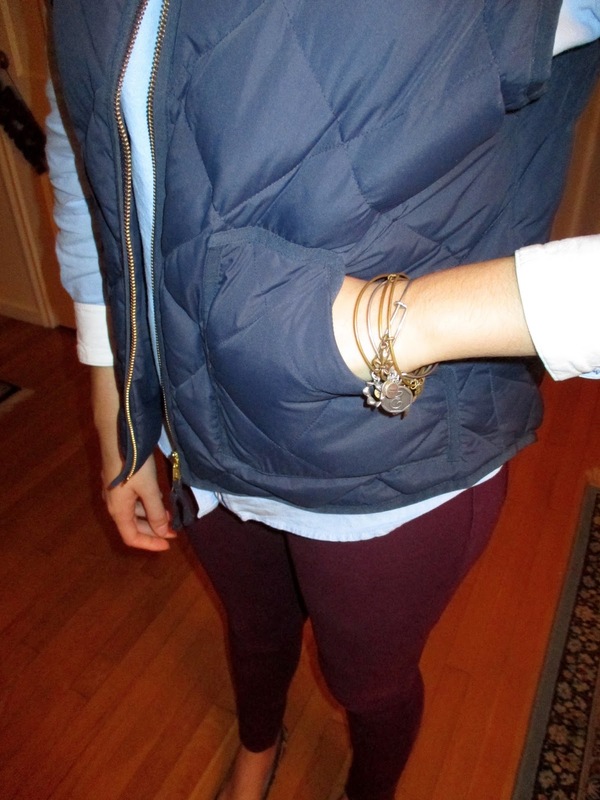 This is one of my simple and easy outfits that everyone can pull together if they are in a rush. 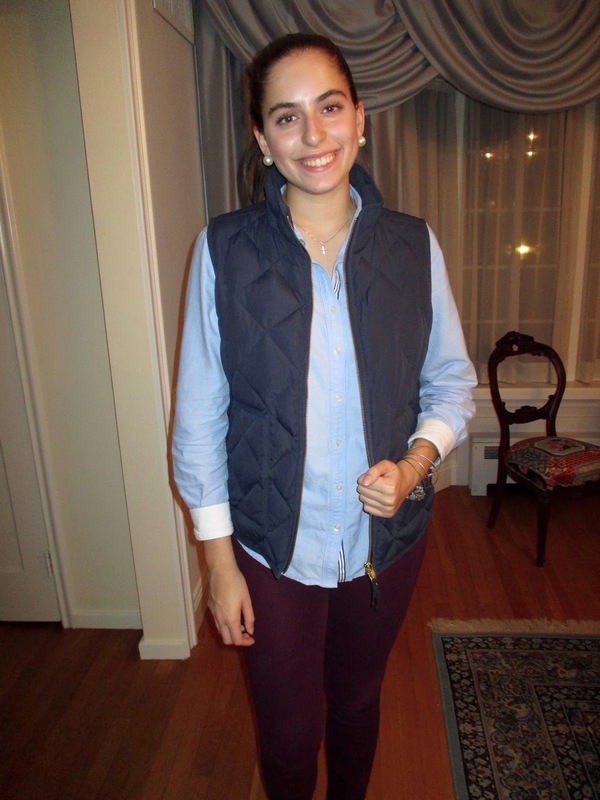 This shirt is great because it is iron-free and a puffer vest is great thrown over the shirt to tie the whole outfit together. 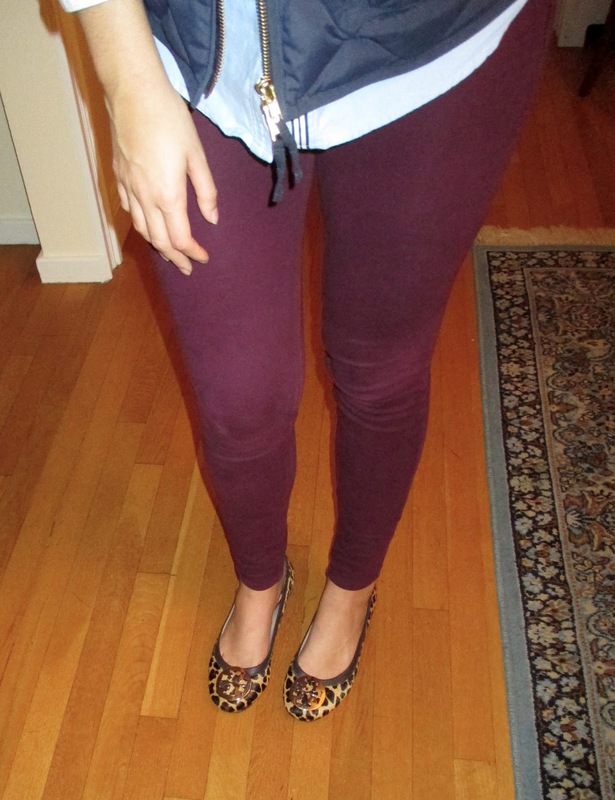 The pants give the outfit some color and the shoes give the outfit some pattern, so the outfit isn't boring. Tonight I went to my brother's school with my parents for a Veteran's Day dinner. I was rushed straight from rehearsal at my school to his school so I didn't get a chance to change and it worked out because this outfit was totally appropriate! 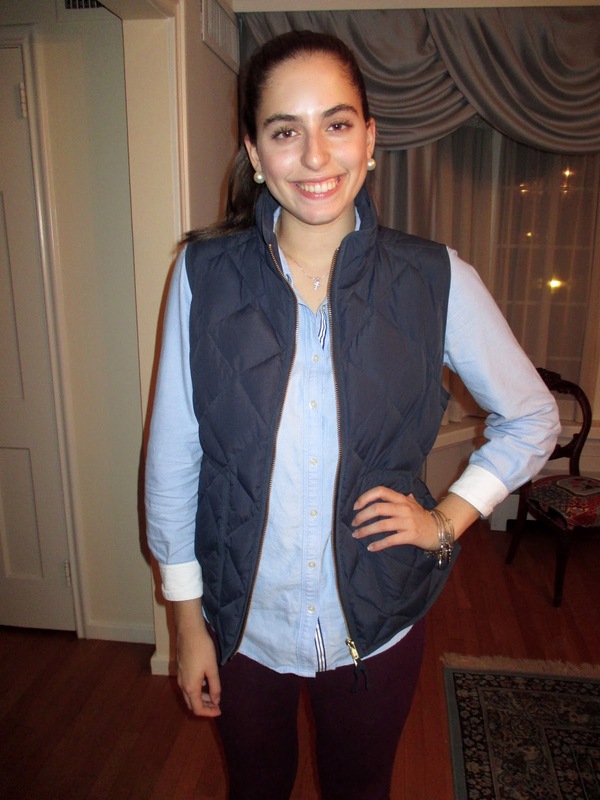 You really can't go wrong with a button down and a puffer vest.